Here are 5 examples of some of the tastiest pasta-formed culinary genius that can be found in some of the country's most popular tourist hotspots. Join fellow holiday-ers, weekend getaway-ers and local Italians themselves in these little gems and try them for yourself. The list could've been much more extensive, as there is no such thing as too much pasta! But we didn't want to induce too much food envy in one go. 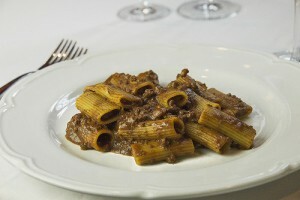 Overlooking the Piazza di Santa Cecilia, Rome and Lazio come together in this family-run, quaint little restaurant. 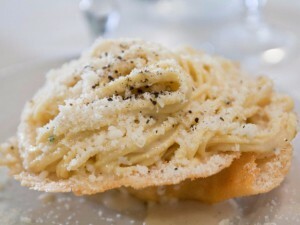 Famous for their traditional creamy, cheesy pasta which is even served in a parmesan bowl! All we're hearing is cheese, cheese, cheese and we're liking it. It titles itself a ‘typical Roman tavern’, situated near Testaccio’s Monte dei Cocci; a huge mound of broken amphorae from the Roman Empire olive oil and other condiment imports – bit of history and culture there for you. 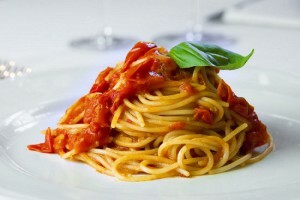 Dine like a true Roman and have some classic carbonara whilst trialing any of the 200+ wines they keep in their cellar! This stunning restaurant has been serving up specialty grilled meats and Tuscan Gastronomy since 1975, and has a beautifully unique garden area, perfect for alfresco summer dining! 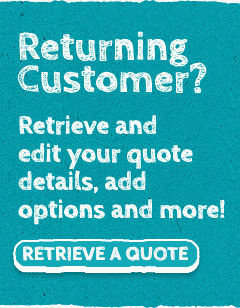 On their website, they quite rightly say… ‘this is the story, the rest is better to taste it for yourself’. 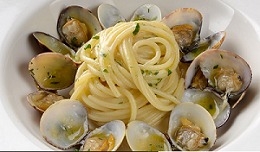 Try something different and dive into this classic-meets-modern seafood restaurant near the river Adige. A fish market used to dominate the region of Pescheria, which is reflected in the name, literally meaning fish-market, who’d a thought it! Starting off as a small local produce store, this little treasure evolved into an explosive combination of Tuscan and Mediterranean flavours in an adorably traditional, warm and inviting setting - complete with some foliage and veggies hanging from the ceiling (exactly what we look for in an Italian restaurant). 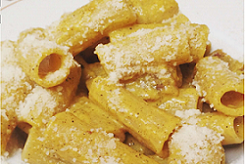 Opt for their 'house' pasta "della Casa". You. Are. Welcome. FYI - this isn't to say that we don't have some great Italian cuisine at home here in the UK too. Watch out for an upcoming blog, profiling the best authentic foreign cuisine restaurants across London!